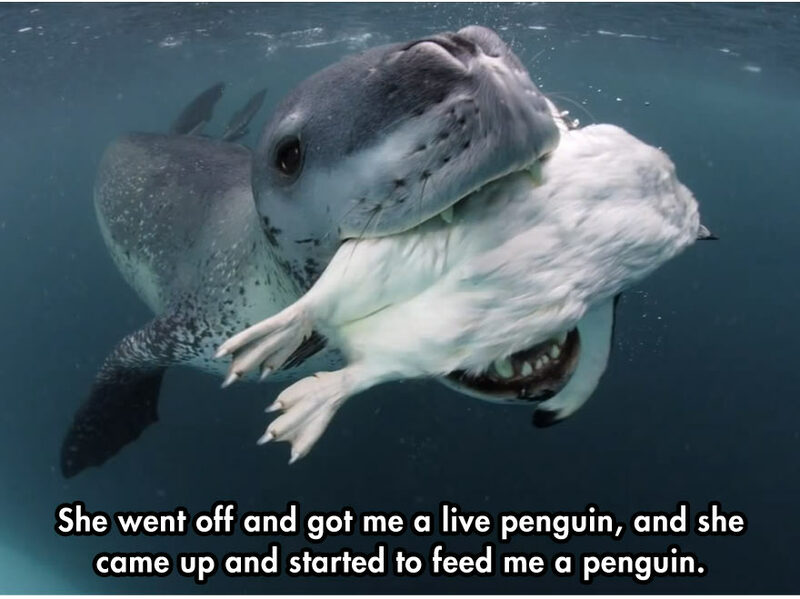 We often forget animals are unique individuals, much like humans! 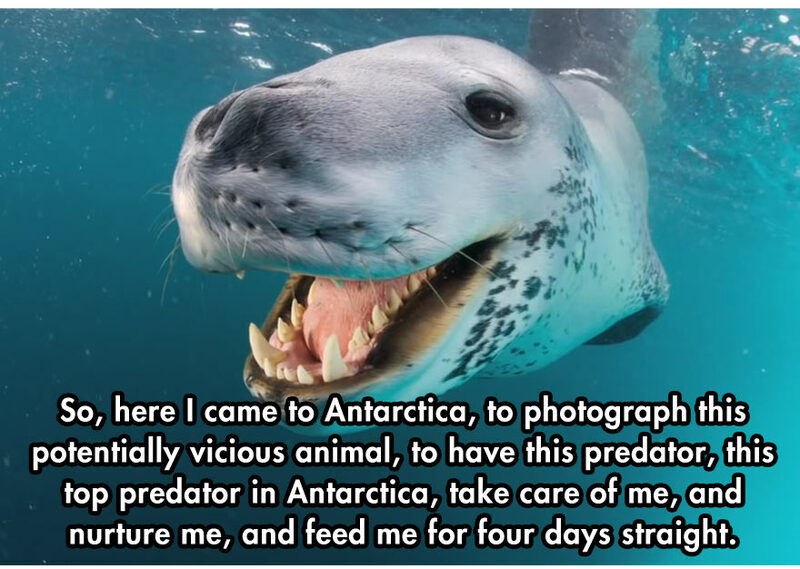 Species we classify as vicious and predatory are also capable of nurturing, compassion, empathy and love. 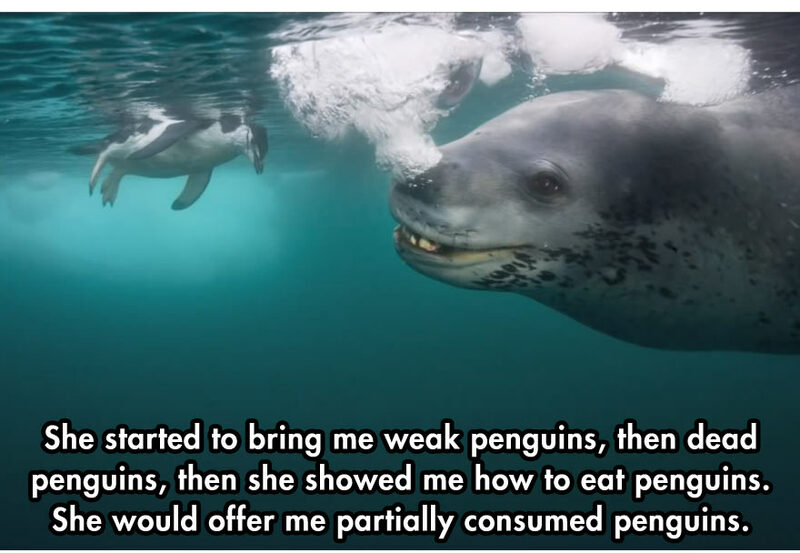 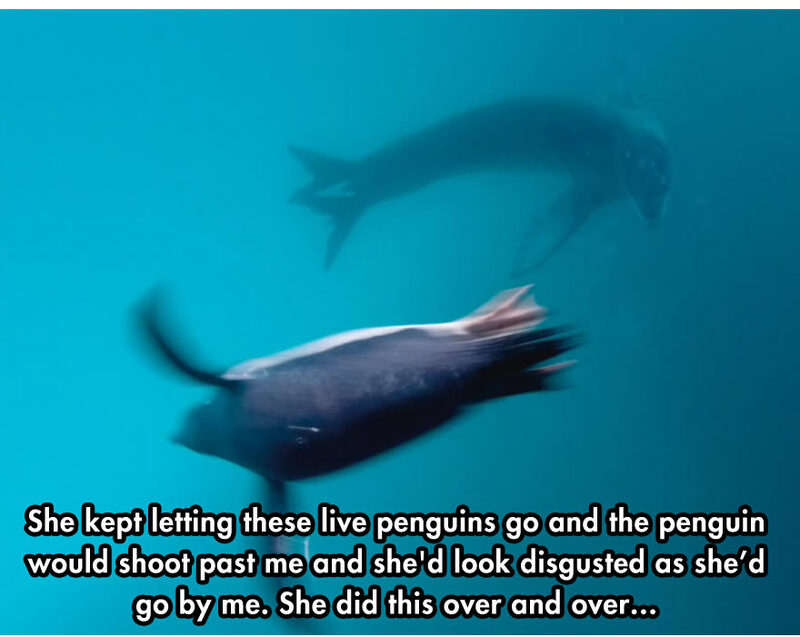 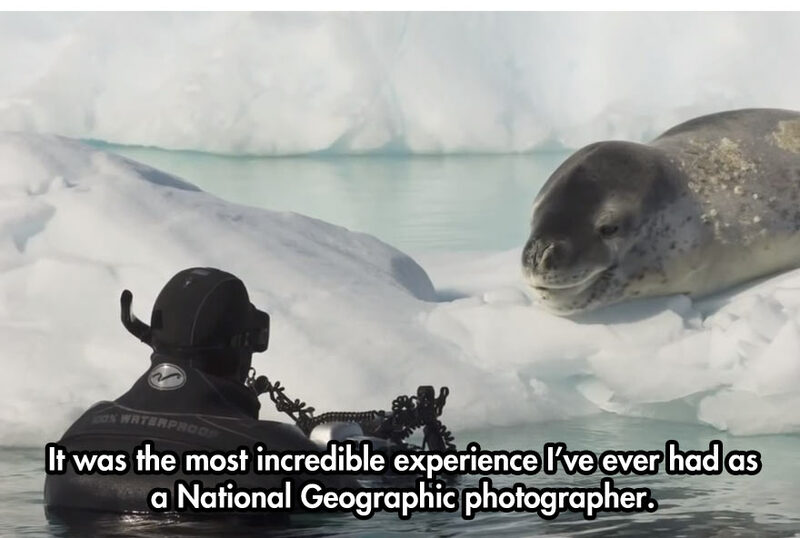 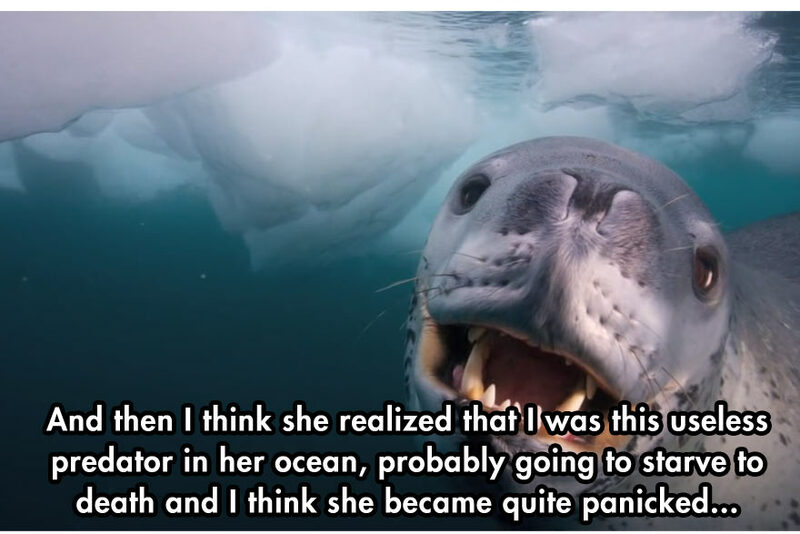 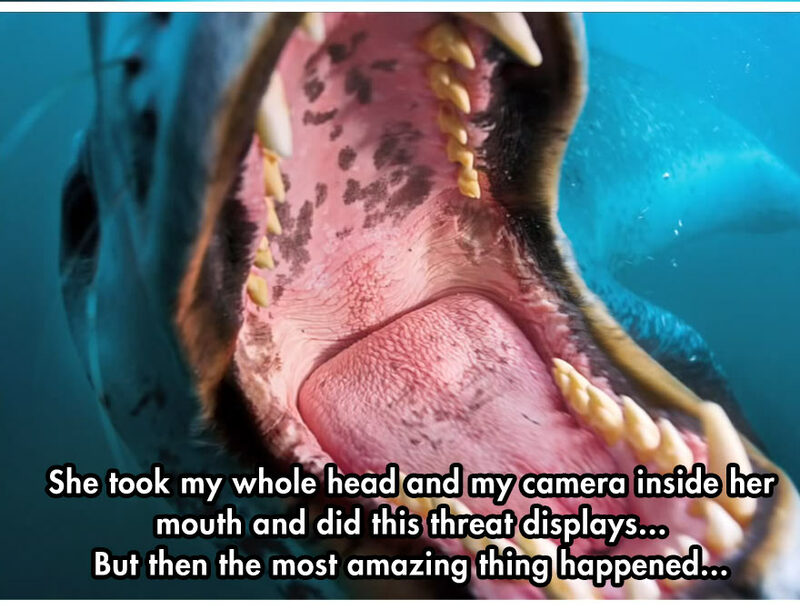 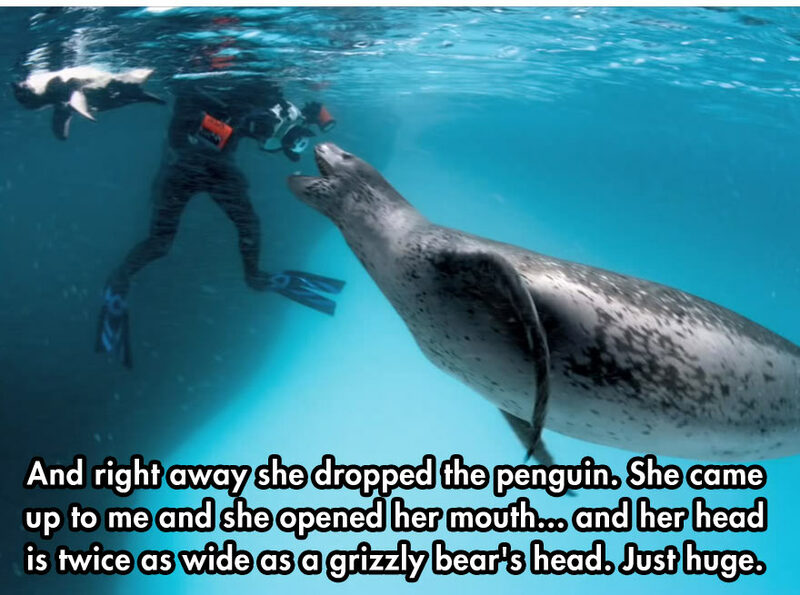 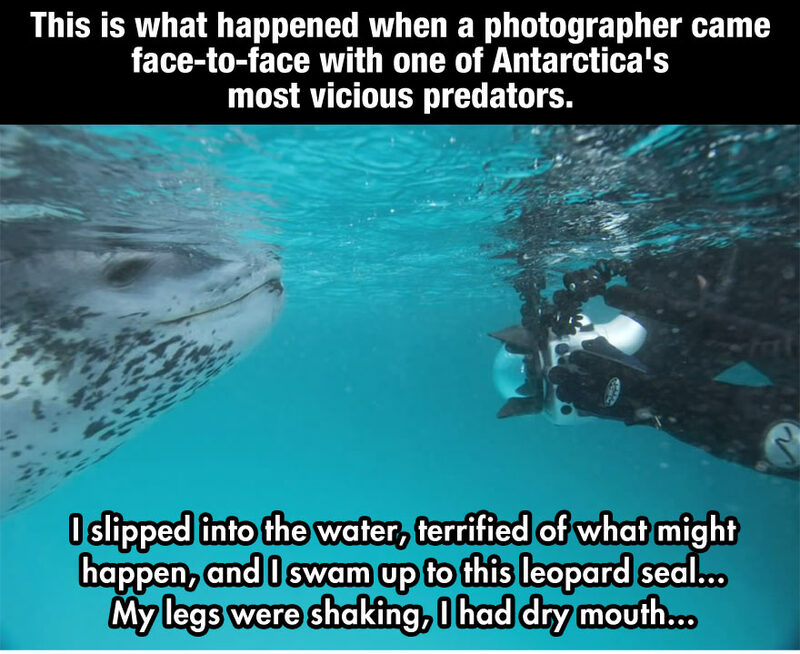 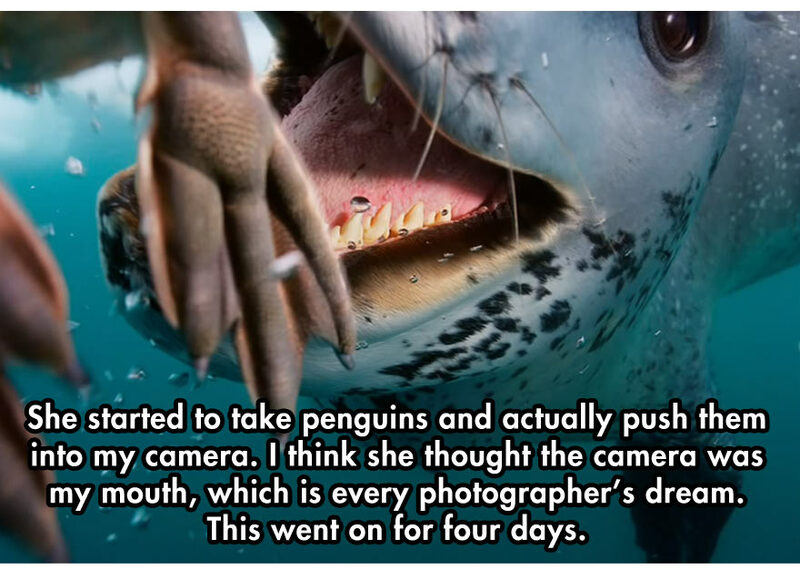 While leopard seals are notorious for preying on penguins, they also are extremely protective of their young and nurture them until their able to fend for themselves, just like the seal in this story tried to do with National Geographic’s photographer!